Very professional. Told us what was the likely problem, what they plan to do and how long would it take and how much does it cost. They were prompt, professional and efficient. Mike, the service guy, is friendly and polite. 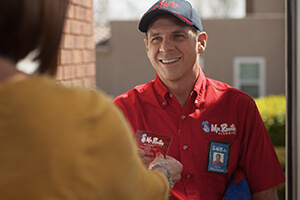 Iâ€™d definitely call Mr. Rooter again. Mike showed up on time and had the problem diagnosed and fixed in a timely manner. Would definitely use your service again. Nice people, knowledgeable. Very respectful to someoneâ€™s home. Constant contact with the rep from initial phone call until he arrived.